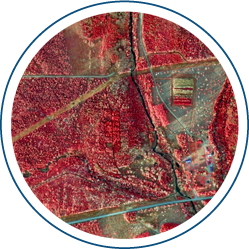 LiDAR (Light Detection and Ranging) is an electronic-optical remote technology to determine the distances to objects and surfaces using a focused beam of light. The study of the characteristics of the reflected signals, speed, concentration, chemical composition, color, etc.. 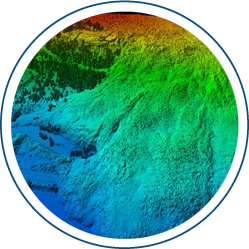 Allows for obtaining Digital surface models (DSM), digital terrain model (DIM) and Digital Elevation Model (DEM). Agriculture – the technology allows farmers to determine the profitability from the cultivated areas by zoning on the land. 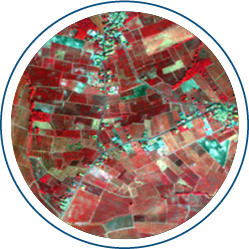 Creating a topographic map of the area allows to define the light percentage of the slopes, the degree of agricultural stress and the need for additional funds to increase the crop yield. Assessment of complex features such as volume of woody biomass. Geology and Soil Science – Geology and Environmental Studies and the creation of three-dimensional digital models of the earth’s surface watercourses and upland, Analysis of the structure and development of landslides and destruction, monitoring and analysis of ice structures produce extremely accurate elevation models for terrain – models that can even measure the elevation through trees. 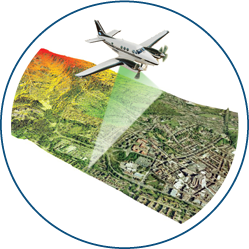 Meteoroloiya – LIDAR systems are used to perform a number of measurements that include profiling of clouds, measuring winds studying aerosols and quantitatively different atmospheric components. Atmospheric components can in turn provide useful information, including surface pressure (by measuring the absorption of oxygen or nitrogen), greenhouse gases (carbon dioxide and methane), photosynthesis (carbon dioxide), fires (carbon monoxide) and humidity (water vapor). Mining and Materials – by scanning in the extraction are obtained accurate results and forecasts for ore and other minerals, capturing large open pits and calculating the extracted tables. 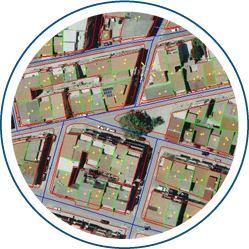 Infrastructure Construction and Urban Planning – Using LiDAR survey is of considerable assistance during the various stages of design and construction of civil works and infrastructure projects. 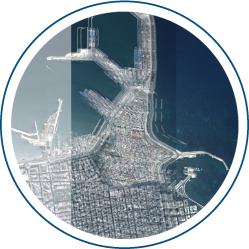 Support planning and accountability of large construction and infrastructure (roads, railways, industrial plants, etc.). 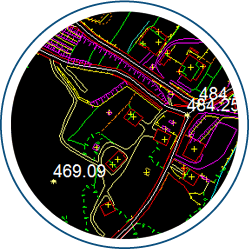 Density and accuracy of the measured points enables accurate design, excellent choice of locations and routes, as well as identifying key features such as curvatures, gradients and more.